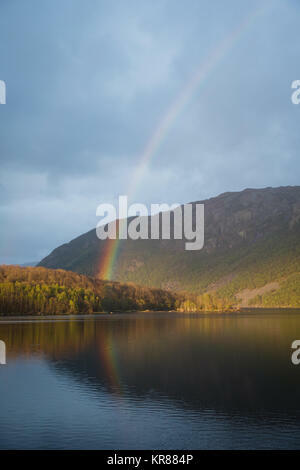 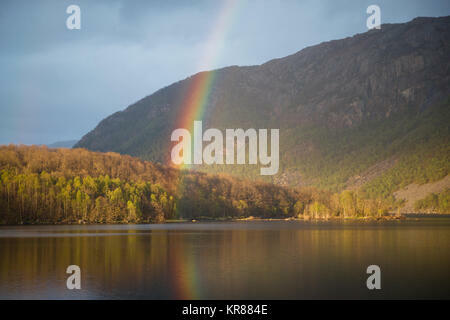 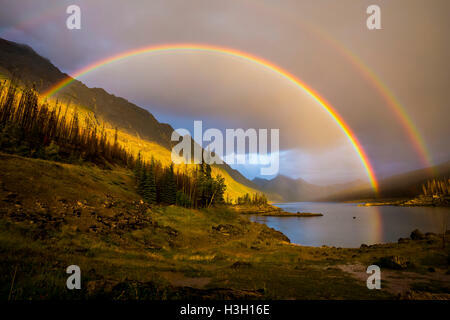 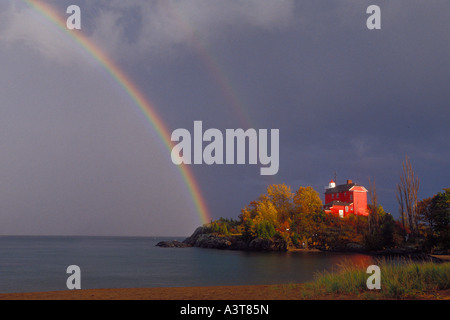 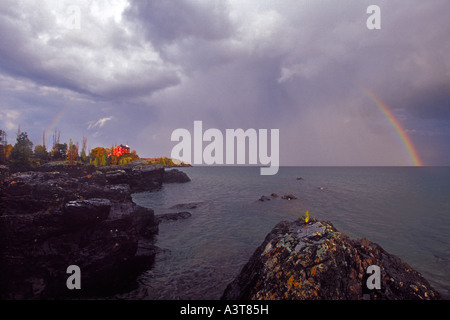 A rainbow arches over a lake (loch) in a mountainous landscape. 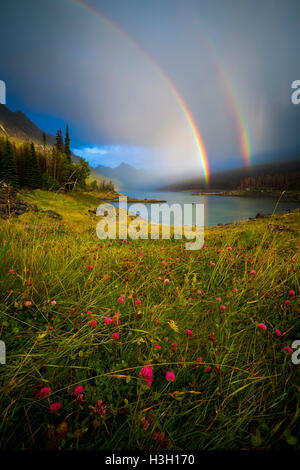 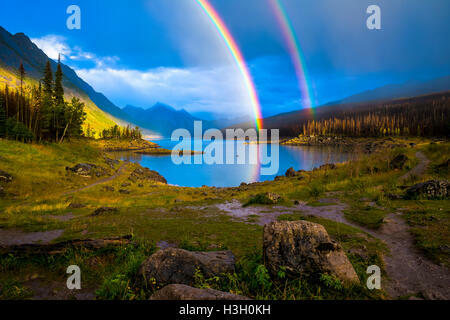 A double rainbow arches over Medicine Lake in Jasper National Park's Maligne Valley. 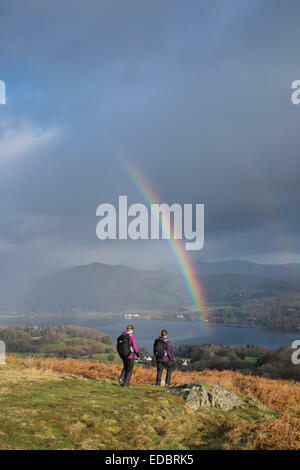 A rainbow arches over Steel Fell and walkers in the Lake District, UK. 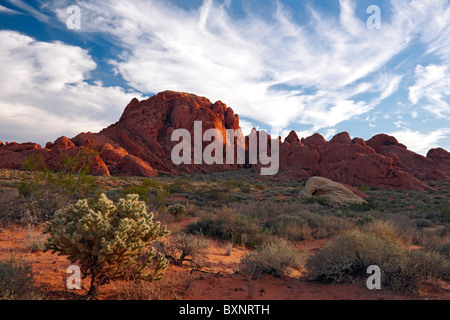 Evening clouds sweep over the sandstone landscape of Rainbow Vista in Nevada's Valley of Fire State Park. 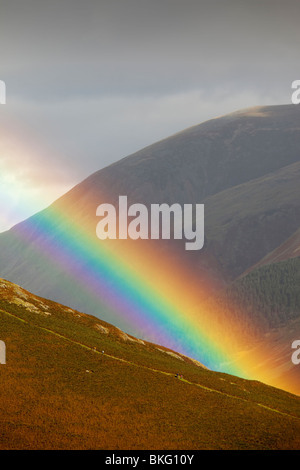 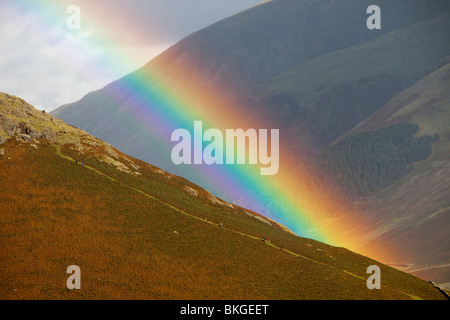 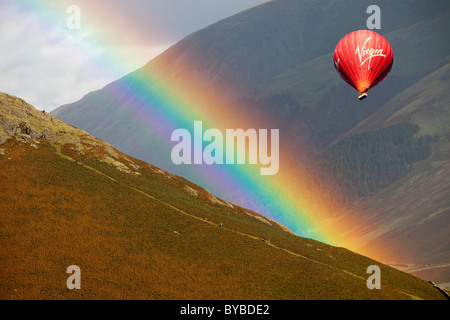 A rainbow arches over Steel Fell and walkers in the Lake District, UK, with a hot air balloon.